This time of year is not kind to those of us not lucky enough to jet off somewhere warm or to sun-dappled ski slopes. Starved of Vitamin D and sunshine on the skin, it's the month I feel at my lowest ebb - fed up, lethargic and seriously craving blue skies. Radiant I most certainly am not. 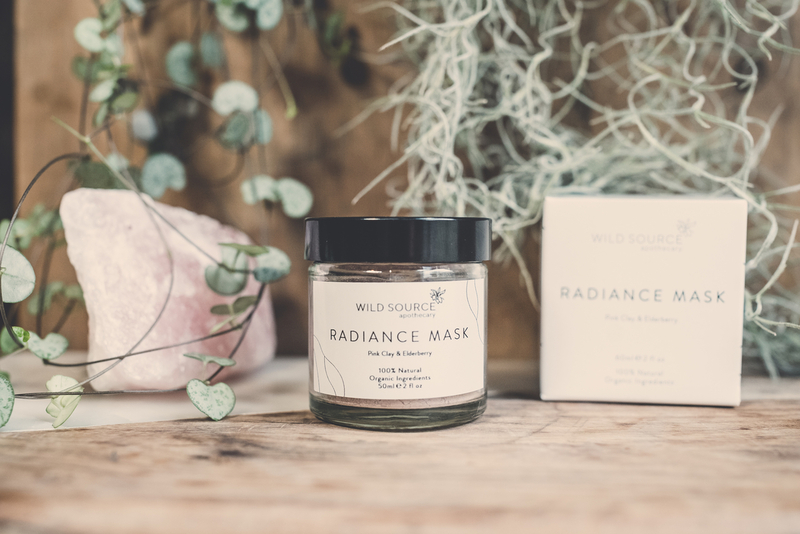 If, like me, you're feeling the pain too, let me introduce you to something that might just help to restore your winter-weary skin: Wild Source Apothecary Radiance Mask. 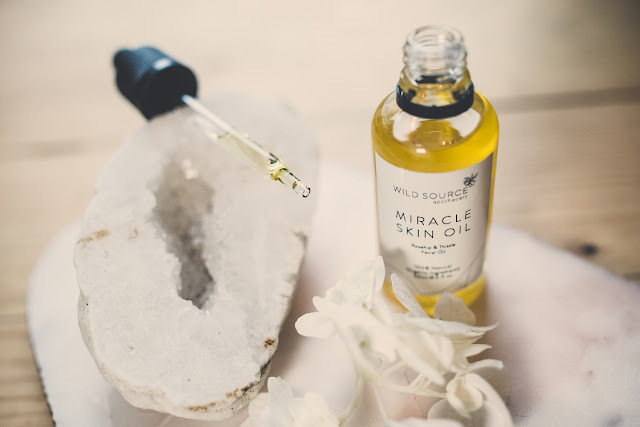 I've raved about this stuff before so I'm absolutely delighted to be teaming up with the lovely Kate from Wild Source Apothecary to offer you the chance to get your hands on a pot of this wonder stuff yourself. 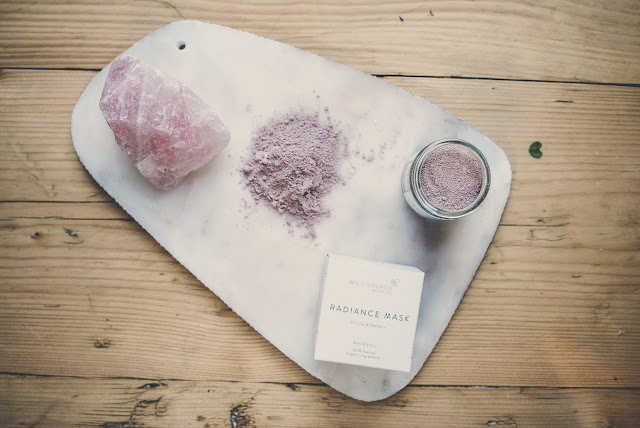 I've been using the mask since the summer and I love it; in fact, I love everything in this locally-produced, small-batch collection - you can read my previous blog post about what makes Wild Source Apothecary really special here. Tell us a little bit about yourself and your background. How did you get into botanical, small-batch beauty? I've always loved skincare and beauty products. But I struggled to find anything to put on my skin that didn't flare up my eczema or bring me out in rashes. As I got older I started to spend a bit more money on skincare and try a much more natural route (which of course worked.) My mum says if you can't pronounce it and wouldn't eat it you probably shouldn't put it on your skin! The main ingredient in my favourite facial oil was Rosehip which I googled and realised I could easily press myself. I used to pick them on my way to work and carry them around with me all day in a sandwich bag before taking them home and pressing them with avocado oil. I loved the whole process of blending oils and just wanted to learn more. I gave out a few little bottles for Christmas and birthday presents and my friends and family absolutely loved them. That's when I decided to do it for real. I went to school to study aromatherapy and the art of blending oils and shortly after that Wild Source was born. What makes your products stand out from the crowd? Our products stand out because they're consciously made but still feel really special. I take a lot of time and effort in making sure all our ingredients are the highest quality, consciously sourced and made with recycled packaging whilst still incorporating a real luxury element to our brand. "Rituals not routines" is our motto; we want our customers to feel like they're really indulging in a luxury skincare ritual whilst using an honest product from a brand that is passionate about doing its bit for the planet. What advice do you have for coping with dull winter skin? My go-to is a mask once a week, double cleansing and drinking double the amount of water I usually would. Dehydrated, dull skin is a killer for winter. I use Radiance Mask once a week to help buff away any dead skin cells and renew my complexion. The mixture of clay and botanical extracts really gives your skin a brightness and glow that it was lacking before. All our ingredients are included for their powerful therapeutic benefits. So I'd say they're all special! 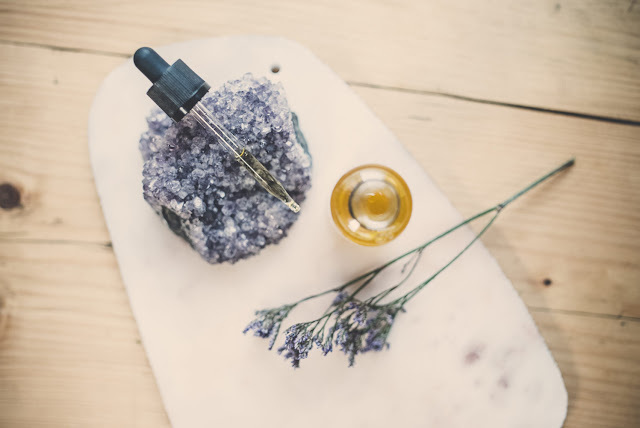 The ingredients we use are classed as 'active', resulting in highly concentrated and effective formulas without using any harsh chemicals or toxins on the skin. One of my favourite ingredients has to be Rosehip, though. Who do you admire in the natural beauty world and who inspired you to start your own business? If you were to give one piece of skincare advice that anyone, whatever their skin type, could benefit from, what would it be? My one piece of advice would be to try a facial oil - oily, acne-prone skin and all. So many women I've spoken to won't touch oils because they're convinced it will enlarge their pores and make them break out in uncontrollable acne. Well, pore size can't be changed- this is genetic and all you can do is shrink the appearance of pores. And secondly oil dissolves oil. So no matter what your skin type the right facial oil will seriously elevate your skincare level like never before. The right oil should be light, silky to touch and melt into your skin leaving no greasy residue. Even if you just add a couple of drops to your evening moisturiser you will notice a difference. You live and work in Bristol - what do you love most about the city and what are your three top recommendations for things to see or do? 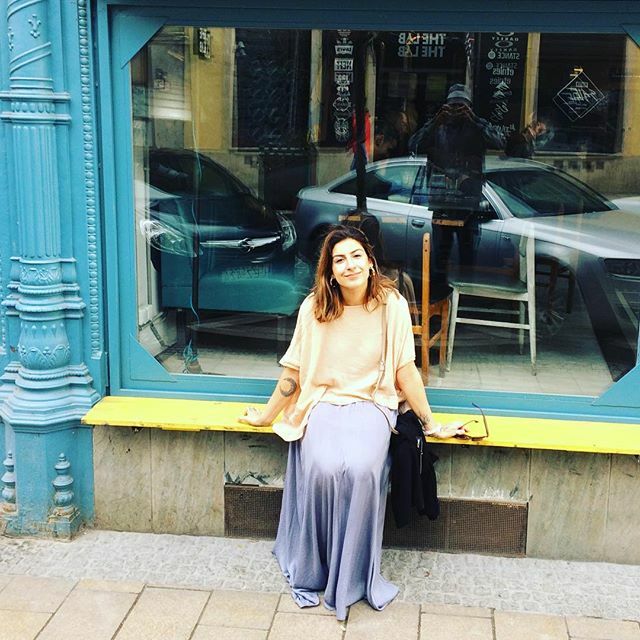 I love Bristol and I'm so proud to be a part of this city. We've been here over 8 years now and I don't think I could live anywhere else now. If you're going to do anything in Bristol eat at Pasta Loco, drink at Bar Buvette and go for a walk at Ashton Court. 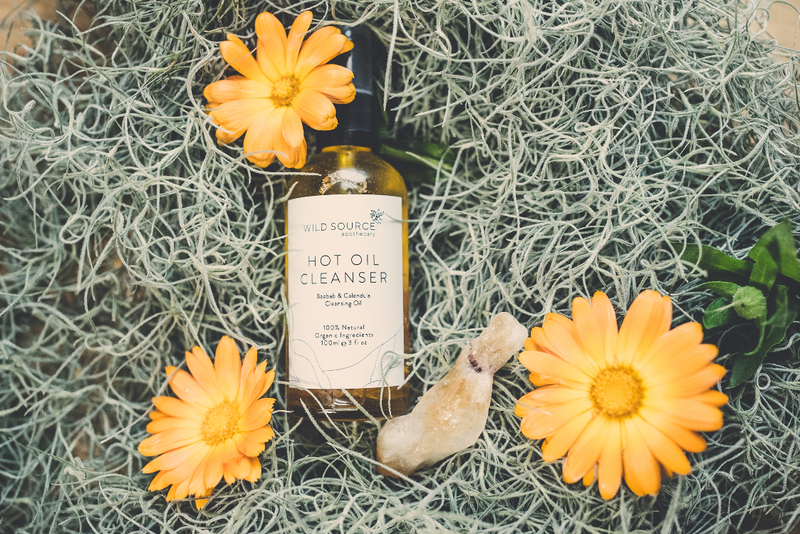 Visit the Wild Source Apothecary website here. 3. Tag a friend in the comments box too! Winners will be announced in the comments box on the Instagram post. Good luck! *Please note this competition is not affiliated with Instagram. Terms & Conditions: One winner will be picked from all entrants who meet competition criteria; no cash equivalent; competition winners will be announced by Sunday 25th February 2018. Winners will be asked for their email address to arrange delivery of their mask. This competition is only open to UK residents. Copyright Luisa Sanders. Powered by Blogger. © Bristol Bargainista. All rights reserved.